Are we really secure in our own home? please have a moment and watch the video below. Your local Los Angeles Locksmith, CCTV Surveillance Systems & Security Expert! Lion Security Locksmith offer fast, reliable mobile and emergency service for both residential and commercial applications throughout all of Los Angeles County. We will install new locks, make extra keys, or install a new security system with attention to detail. We’re experts when it comes to Locks! Our large selection of lock and security systems mean you will be sure to find the right solution for your needs and budget. Lion Security Locksmith also installs high quality CCTV & Video Surveillance cameras from quality brands like Pelco, LTS & Samsung at home, offices and other commercial places. We also provide highly secured electronic access control system from leading locksmith brands like Doorking and others. Why People choose Lion Security Locksmith? 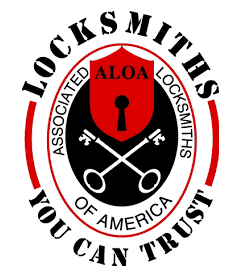 We offer locksmith security systems that utilize the latest technology and highest-quality materials, our options are guaranteed to impress you and exceed your expectations. Lion Security Locksmith has got very positive reviews from satisfied clients on one of the trusted platform Yelp. Find reviews of Lion Security Locksmith on our testimonials section. Lion Security Locksmith provides 24 hours emergency locksmith services in Los Angeles and nearby areas like Beverly Hills, Hollywood, Downtown Los Angeles, East/West San Fernando Valley. Lion Security Locksmith provides various quality locksmith & CCTV camera services for home, office and other commercial places. Check out our top quality services. Copyright 2005-2014 © Lion Security Locksmith Los Angeles.